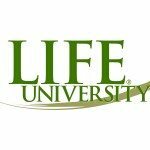 June 24, 2008 — Life University President Guy F. Riekeman and USA Rugby High Performance Manager Scott Lawrence signed a memorandum of understanding outlining a partnership between Life University and USA Rugby for the high-performance training of its rugby athletes. Now in a contracted partnership, the memorandum lists specific responsibilities for both parties. Each quarter, USA Rugby will send its athletes to Life for testing performed by graduate students and faculty in the Sport Health Science Department. The university and USA Rugby will share research findings related to performance, and together create strength and conditioning protocols for athletes. Once a week, Life will provide a training environment for group training sessions, and in return, USA Rugby will refer local athletes to Life for testing, injury management, and rehabilitation. Life University and USA Rugby have been informal partners since 2006.